Well, did I ever think I'd stick to this for a year, on the 6th March 2016 creating my blog was one of the best decisions I've made. I never though it would have such an impact on my life like has and looking back at earlier posts I can see my improvement but also see a lot of room to improve. Blogging is amazing, it's created so much joy for me and good things have came from it. I've made an amazing friend though blogging and she knows who she, I've gone though some hard times through the year and good times also along the way and blogging has helped me more then you'd think. To me all stats don't matter they never do. the page views or followers are nothing, I just love blogging because it is so fun, it's one of the best things because it combines my love for makeup and writing together! I love being Able to just write about makeup and lifestyle things and see people enjoy it, it truly makes me happy! Writing is a passion of mine and i love people reading what i write and enjoying it. I want to thank anyone who's been here awhile or is just new, thank you for reading because seeing my posts get on average 50 views (obviously isn't a lot to most people but it is to me) makes me happy, knowing 50 people have enjoyed or even just read what I write and hopefully ignored the terrible photos. It does mean a lot. 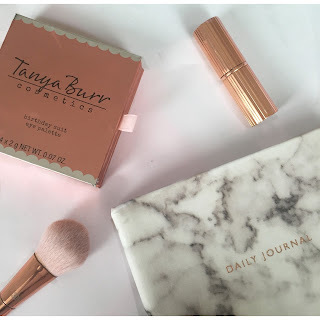 With the most viewed post as my Charlotte tilbury hot lips review, 58 posts on 1 year and 4,790 page views, I can't wait to see what this year of blogging brings me to, I hope you stick with me on the journey!